The Linux Foundation will host a new Akraino project to create an open source software stack supporting high-availability cloud services optimized for edge computing systems and applications. To seed the project, AT&T is contributing code designed for carrier-scale edge computing applications running in virtual machines and containers. 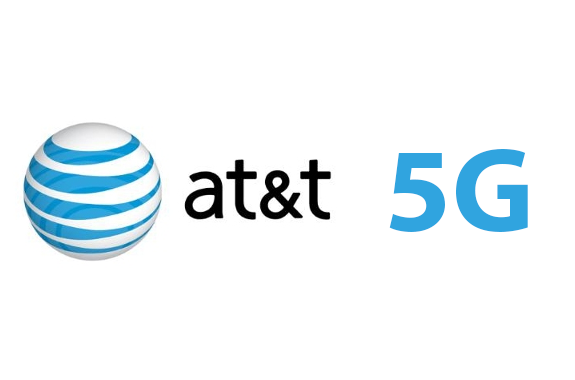 AT&T will launch commercial mobile 5G in a dozen cities this year. The first three announced cities are parts of Dallas, Atlanta and Waco, Texas. The initial mobile 5G deployments this year will be based on 3GPP standards and operate over mmWave spectrum. 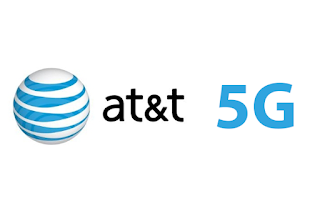 AT&T has already deployed 5G Evolution technologies. Last fall, the company launched LTE-Licensed Assisted Access (LTE-LAA) technologies in parts of Indianapolis and are now live in parts of Chicago, Los Angeles and San Francisco. AT&T also confirmed that its migration to SDN is on course. The target of virtualizing 55% of network applications in 2017 was achieved and the goal now is to reach 75% by 2020. To further is progress, AT&T has opened a new 5G lab in Austin, Texas. The facility is hosting an Advanced 5G NR Testbed System (ANTS) for trialing unique and forward-looking features on a simulated 5G network for eventual standardization. Cisco introduced a new software portfolio to help Service Providers to automate large-scale networks. The company is promising "ruthless simplification" for networks that to date have been burdened by manual operations leading to inefficiency, complexity and security vulnerabilities. The new Cisco Crosswork Network Automation software offers a single point of integration with zero-touch telemetry, machine learning intuition, open APIs and automated actions. Cisco said the new software extends capabilities of its Network Services Orchestrator (NSO), offering the industry's most comprehensive closed-loop multi-vendor, multi-domain automation solution, with service orchestration and automation applications that support third-party solutions with open APIs. "Only Cisco can offer this comprehensive and holistic automation approach to solve challenges of today's mass scale infrastructure," said Jonathan Davidson, senior vice president and general manager, Service Provider Networking, Cisco. "Our primary goal for network automation is to help our customers turn growing pains into growing profit, and streamline operations so they can spend less time on tactical ‘firefighting' and more time on identifying and trialing new revenue streams." Xtera announced the successful completion of interoperability testing with Infinera, a provider of Intelligent Transport Networks. The tests included the transmission performance of Infinera’s XTS-3300 through Xtera’s wideband hybrid Raman-EDFA repeaters using 16-QAM modulation format. The companies said the trials demonstrated the ability of Xtera’s Virtual Fiber Gateway (VFG) to allow multiple vendors’ equipment to independently share spectrum and proved the resilience of XTS-3300 to strong Line Monitoring Equipment (LME) signals. Qualcomm increased its bid to acquires all outstanding shares of NXP Semiconductors to $127.50 per share in cash. The previous price was $110. Qualcomm also announced binding agreements with nine NXP stockholders who collectively own more than 28% of NXP’s outstanding shares (excluding additional economic interests through derivatives) to tender their shares at $127.50 per share. These stockholders include funds affiliated with Elliott Advisors (UK) Limited and Soroban Capital Partners LP. “Qualcomm’s leading SoC capabilities and technology roadmap, coupled with NXP’s differentiated position in Automotive, Security and IoT, offers a compelling value proposition. We remain highly confident in our fiscal 2019 Non-GAAP EPS target of $6.75-$7.50, which includes $1.50 per share accretion from the acquisition of NXP. With only one regulatory approval remaining, we are working hard to complete this transaction expeditiously. Our integration planning is on track and we expect to realize the full benefits of this transaction for our customers, employees and stockholders,” stated Steve Mollenkopf, Chief Executive Officer of Qualcomm. Broadcom is evaluating its options following Qualcomm's decision to raise its offer price for NXP Semiconductors to $127.50 per share. Broadcom said the price increase "demonstrates the Qualcomm board's disregard for its fiduciary duty to maximize value for Qualcomm stockholders" and that it transfer $6.2 billion of value from Qualcomm shareholders to NXP shareholders. 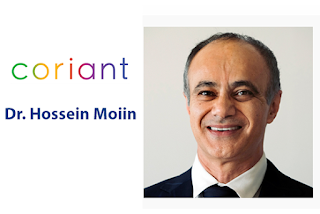 Coriant announced the appointment of Dr. Hossein Moiin as Strategic Executive Advisor. Dr. Hossein Moiin is the former Executive Vice President, Chief Technology (and Strategy) Officer of Nokia and Nokia Siemens Solutions. He holds several degrees including a Ph.D., M.S. and B.S. from the University of California, Santa Barbara in Electrical and Computer Engineering. In addition to his role at Nokia, Dr. Moiin had leadership roles at BT, T-Mobile International, and Sun Microsystems. Sweden’s Eastern Light, which is building a series of new, international, submarine fiber-optic cable routes in northern Europe, will deploy Ciena’s GeoMesh solution. Eastern Light is currently building the initial stretch of its network between Sweden (Stockholm) and Finland (Hanko, Helsinki and Kotka), providing the first new submarine fiber optic cable between the two Nordic capitals in more than a decade. The cable route is both geographically separated from and shorter than existing cables. Ciena’s GeoMesh submarine network solution, an open architecture that integrates hardware, software and professional services, will be featured as a part of Eastern Light’s dark fiber product. “Together with Eastern Light, we will provide key interconnection points for the Nordics that will help facilitate movement of global internet traffic in and out of the region. 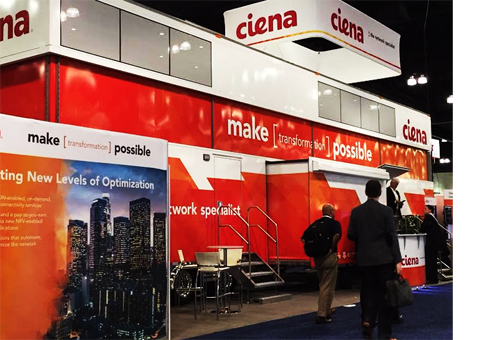 Ciena’s GeoMesh and optical innovations will give Eastern Light a new approach to support a smarter, faster and more adaptive network,” stated Keri Gilder, Vice President and General Manager, EMEA, Ciena. Preamble: After nearly a week of blocking broadcasts of Kenya's leading television stations, Kenyan authorities have relented and allowed most of the broadcasters to resume operations. In this series of articles, we profile the vibrant telecommunications market in Kenya. Kenya is already well-served by international backbone cable systems such as EASSy, LION-2, SEACOM and TEAMS with at least two more (PEACE and DARE)in the planning or early construction stage. The east coast of Africa has relatively much fewer major landing points than the west coast, the most important ones being Mtunzini, South Africa; Maputo, Mozambique; Dar-Es-Salaam, Tanzania: Mombasa, Kenya; and Djibouti. SEACOM —— This very early 17,000 km East Africa, Europe, and India cable system costing around $650 million and over 75% privately owned by African investors went live in July 2009 with African landing points in Mtunzini, South Africa; Maputo, Mozambique; Dar Es Salaam, Tanzania; Mombasa, Kenya; and Djibouti; and connections in Mumbai, India and Marseille, France. 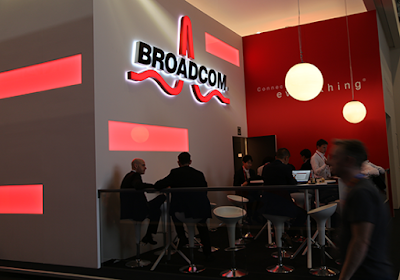 The company has consistently upgraded its theoretical capacity to reportedly 12.8 Tbit/s and has also expanded its network via agreements with local and regional fibre and business partners in Europe and Africa, as well as with backhaul terrestrial networks from its landing points in Africa. It is also a supplier of business services using IP/MPLS, as well as Private Line, VPN, Internet Access and Cloud. In early September 2017, SEACOM CEO Byron Clatterbuck announced the appointment of Tony Tugee, previously head of Enterprise Sales and Retention at Safaricom, as head of the company’s business services in Kenya and also responsible for these activities in Rwanda and Uganda. EASSy (East Africa Submarine cable System) —- This is a 10,000km, 10 Tbit/s fibre-pair submarine fibre-optic cable system based on Alcatel 100G technology. It links South Africa with Sudan via landing points in Mozambique, Madagascar, the Comoros, Tanzania, Kenya, Somalia and Djibouti. It went live in Kenya in July 2010. The system is owned and operated by a group of 16 African (92%) and international (8%) telecommunications operators and service providers including Telkom Kenya. Investors in the EASSy system have also built terrestrial fibre backhauls to link the land-locked countries of the region to the cable. LION 2 (=Lower Indian Ocean Network 2) -- This 3,000 km, 1.28 Tbit/s, $79 million cable links Mombasa (Nyali) to the 1,000km LION-1 network that connects Mayotte, Madagascar, Reunion and Mauritius to the rest of the world. It was laid by France Telecom together with its subsidiaries Mauritius Telecom and Orange Madagascar, in partnership with Telcom Kenya. 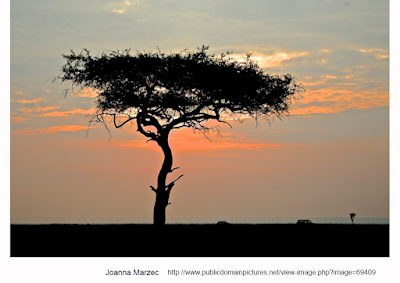 It went live in Kenya in Q1 2012. This cable was also designed to link to the 330 Gbit/s, SAT-3/WASC (=South Atlantic 3/West Africa Submarine Cable) going west to Europe via the Cape of Good Hope and to the 440 Gbit/s SAFE (South Africa Far East) cable going east to Penang Malaysia and thus provide an alternate route for secure broadband transmissions through Europe and Asia for all of the African countries in which the Group is located. PEACE (=Pakistan East Africa Cable Express) -- In early January 2018, Huawei Global Marine Systems Ltd announced that working with Huawei Technologies it was about to start the submarine route survey for this initially 6,200km, 60 Tbit/s, 200G DWDM-based cable system connecting Pakistan (in Gwadar and Karachi), Djibouti, Somalia and Kenya which would eventually span 13,000km, reaching South Africa and Egypt. DARE (=Djibouti Africa Regional Express) -- In early January 2018 it was announced that a contract had come into force with TE SubCom as supplier for this 5,400km, two fibre-pair(150ch x100Gbit/s per pair) submarine cable system which will connect Djibouti and Mombasa, Kenya, with branches to three major coastal cities in Somalia, respectively Mogadishu, Berbera, and Bosaso, providing an alternative high-capacity and low-latency route to the Horn of Africa and East Africa. The DARE consortium is composed of Djibouti Telecom, Africa Marine Express(Kenya), TeleYemen and four Somali operators namely: Somtel Network, Golis Telecom Group, Hormuud Telecom, and Telesom. An additional optional branch is available to Dar Es Salaam (Tanzania).